Kim Day has led Denver International Airport (DEN) as CEO since April 2008. Under her guidance, DEN has become the nation’s fifth-busiest airport, the region’s most powerful economic engine, generating more than $26 billion annually, and the top-rated U.S. airport by passengers, per SkyTrax. She is heading a redevelopment of DEN’s iconic, tented Jeppesen Terminal that will modernize the facility, improve its security model and increase its capacity. She is also leading the expansion of DEN’s concourses, adding 39 new gates. Day led the completion of the airport’s original vision: adding a hotel and train station, including the 519-room Westin hotel and a commuter transit station serving RTD’s bus network, as well as the A Line commuter rail, which runs between the airport and Denver Union Station. Under her guidance, DEN has built a robust network of more than 190 non-stop destinations served, including an ever-growing list of international cities. 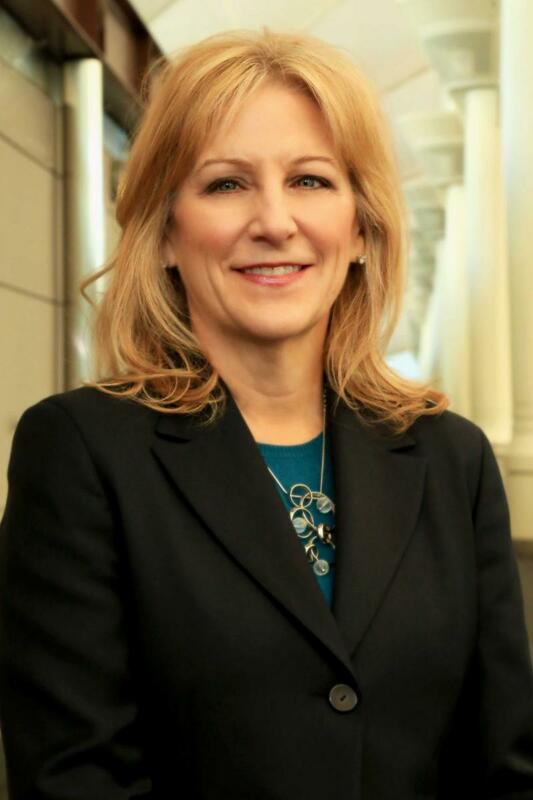 With more than 35 years of experience, Ms. Day previously served as executive director of Los Angeles World Airports. Before assuming the top position, she oversaw the agency's design and construction programs. After receiving a Bachelor of Architecture degree from Cornell University, Ms. Day practiced architecture for more than 20 years. Xavier DuRán is the chief lawyer for Denver International Airport. His responsibilities include executive management of legal and regulatory affairs. Cristal DeHerrera manages the airport’s External Affairs business unit which includes overseeing the airport’s Executive Office, Government Affairs and the Great Hall Project. In her role, she leads the development of the airport’s strategies, policies and plans related to legislative and regulatory activities at the local, state and federal level and is responsible for recruiting and retaining minority- and woman-owned businesses by overseeing the DEN Commerce Hub. Gisela Shanahan leads the business unit that includes finance, accounting, business management services, internal audit and financial planning and analysis, business technologies, airline affairs, air service development and commercial revenue programs. In this role, she directs the financial and strategic management of the airport’s capital program and operating budget with annual revenues of approximately $900 million and a $1.4 billion capital program and oversees the Gate Expansion Program that adds 39 new gates. Patrick Heck is the Chief Commercial Officer and Executive Vice President. In this role, he is responsible for DEN's retail, food and beverage program. Heck returned to DEN in 2016 after serving five years as the airport’s Chief Financial Officer from 2009 to 2014. Chris leads the business unit that includes airport infrastructure management, planning, airport operations, and parking and ground transportation businesses. This group is the largest business unit, including fleet and facility management from cradle to grave. This is also the business unit that manages our relationship with TSA, DPD and DFD. Our environmental management group is also part of the business unit. Before joining DEN, Chris worked for Frontier Airlines, TSA and Clear. Darryl Jones is the Chief Real Estate Officer and Executive Vice President responsible for the continued development and economic expansion of the airport’s real estate program on over 16,000 developable acres. The program includes the transit-oriented communities at two on-airport, commuter rail stations, and the 1,500-acre commercial-use pilot program, ratified by voters in November 2015.